Our 'Under the Sea' rooms at both our Toowoomba CBD and Toowoomba Range centres are specifically designed for children aged 5 to 6 years. Private and customised, our Bachelor qualified educators follow the Queensland Kindy approved curriculum, adopting the latest technologies including STEM programs, touch screens, iPads and robotics. Built on their centres service pillars of play, education and success, our Kindy groups enjoy our new state of the art facilities - designed to encourage both indoor and outdoor learning through interactive play. We want to make the transition to school as easy and as seamless as possible for both students and parents - which is why we begin preparing for school during our Kindy years including Prep excursions. 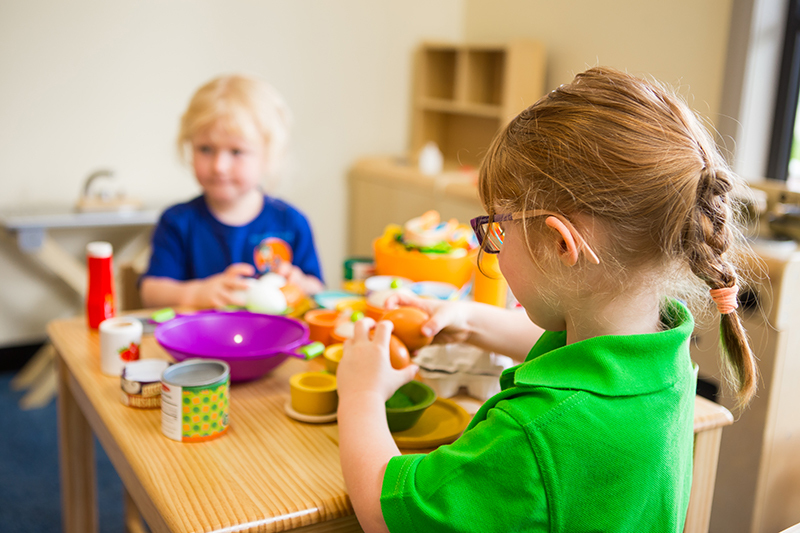 Our Kindy parents enjoy all of the convenience of our Charley's Place centres that they've grown to love - including extended hours, freshly cooked meals daily, state of the art facilities, uniforms and much more! Or book a guided tour of our Toowoomba centres by calling (07) 4599 9055.